Specimen images were created by direct scanning at 600 dpi. The small- and medium-sized images were produced by downsampling from the original scan. All images have been corrected in software for contrast and brightness, and have been saved as slightly compressed JPEG files. Therefore, a small amount of variation from the original specimen is to be expected. The uncorrected, original scans in TIFF format are available upon request. 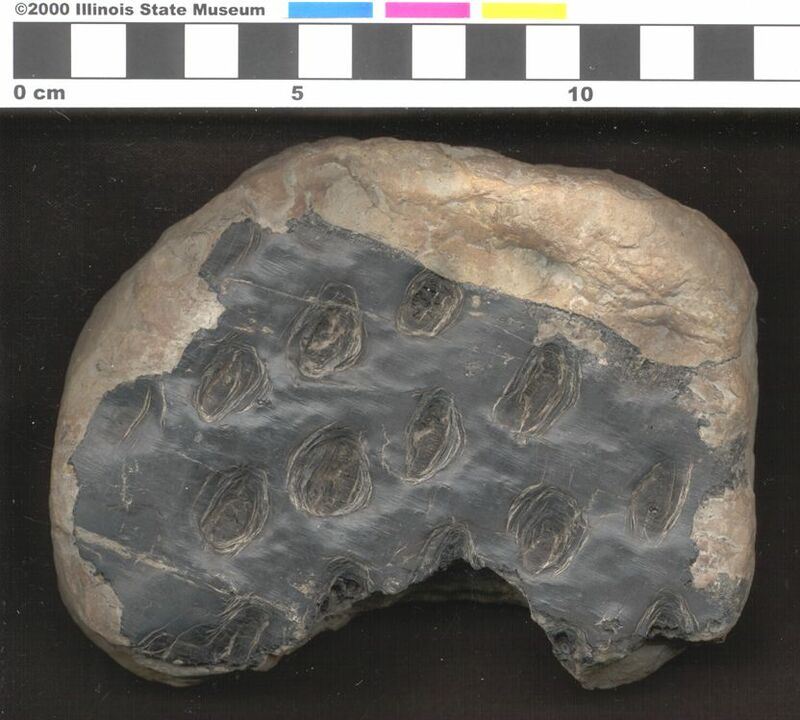 All specimen images are copyrighted by the Illinois State Museum Society. They are made available for educational and scientific purposes only. They may not be republished electronically or in print without the written consent of the Illinois State Museum Society.